I love this Red Carpet, lovely colors, patterns, textures, could not be happier. Just a little disappointed that she didn't win Quvenzhané Wallis but still there is hope, but also HAPPY because Anne hathaway and Ben affleck won!! soooo.. As you can see these are my favorite looks. 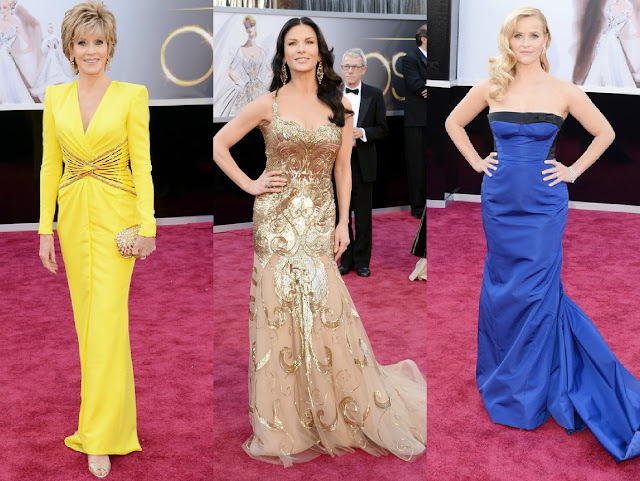 Este Red Carpet me encantó, mucho colores, diseños, texturas, no podria estar mas feliz. Un poco decepcionada porque no ganó Quvenzhané Wallis pero todavia hay esperanza, como puede ver estas son mis looks favoritos. Gracias por tu mensaje en IFB. Te sigo. Por cierto, ¿no te ha parecido una alfombra roja sosa y poco ariesgada? I loved Naomi Watts in that Armani dress!! Definitely couldn't be disappointed with this year's variety in fashion and style. Great post! OMG, Jennifer Lawrence's dress is GORGEOUS. Love these women. Beautiful people, beautiful dresses. These are amazing <3 Love your blog. There were so many great looks this year! Great compilation dear! Mi preferida es sin duda Jessica Chastain!!!! :) Pero todas muy guapas..